In March 2001, the first new circuit to be created in some 300 years was inaugurated in a ceremony in the Old Hall, Lincoln’s Inn. Despite the traditional surroundings, the event was groundbreaking in several key respects. The European Circuit has been created to address the realities of the 21st century, in which there is a greater contact than ever before between lawyers in different jurisdictions within Europe. Given this fact, it was felt that there was a growing need for a forum for those lawyers in which to meet and discuss practical matters arising from this increased trans-border activity. In addition to this, the lawyers Establishment Directive was adopted in 1998, leading to a new legal framework for lawyers wishing to establish themselves in jurisdictions other than that in which they originally qualified. Once the Directive has been fully implemented in all Member States, it is thought that a significant number of lawyers will seek to take advantage of the new regime. The traffic is not all one way. For many years, the Bar has been exporting members to foreign climes to work in private practice, multinational corporations and international institutions. Their knowledge and experience is often second to none in their particular fields. It was felt important to help bring such individuals “home” by creating an organisation which was at the same time clearly “of the Bar” but also sufficiently flexible to house all these different interests. For all these reasons, the concept of a European Circuit is valid and useful. Circuits have been part of the English landscape since the twelfth century and the term “Circuit” represented the tour of particular towns carried out by the King’s judges. Traditionally, circuits for barristers have fulfilled three important roles. The first has been to allow members of the Circuit, from the lowest pupil to the most senior Silk, to get to know each other and be the source of practical information, useful to individual practitioners. The second has been to act as an informal regulator of discipline. The third has been to lobby the Bar Council on behalf of their members. The European Circuit is keen to ensure that these traditional roles are continued. There is clearly much to be said for like-minded practitioners getting together. Much can be learnt from such meetings and potential difficulties overcome. There is also importance of an informal regulatory role in an area where the rules are not necessarily well-established and/or where lawyers coming from different legal traditions may not be fully aware of the relevant practice rules in the area and/or the country in which they are practising. The importance of being able to lobby whichever relevant institutions with one voice should also not be underrated. There are examples of continental European bar rules tend to benefit “local” practitioners and thereby disadvantage “foreign” practitioners. In such situations, there is a great benefit to having a common approach taken to try to resolve the problem. The European Circuit is thus a modern approach to a traditional operation. It already has its own website: www.europeancircuit.com on which its Constitution and other data is to be stored. Circuit business will be conducted generally by way of email, which is not only quick and efficient but also necessary given the different countries the membership covers. The geographical scope of the Circuit will be that of the European Court of Justice and the European Court of Human Rights. It thus encompasses a wider Europe than simply that of the European Union. This is particularly important in the light of the forthcoming accessions of many ex-East bloc countries. Membership will be open to both barristers in the geographical area of the Circuit and to lawyers from those jurisdictions. It is open to lawyers in independent practice and employed lawyers, whether employed by governments, institutions or companies. The European Circuit aims to hold regular conferences dealing with matters of relevance to its members. The first such conference will be held in Brussels probably at the beginning of December (2001). The subject matter will be “Transfrontier practice – problems and solutions”. The conference will bring together not only practitioners from a wide range of backgrounds and differing experiences but also representatives of the Court of Justice European Commission and the CCBE. 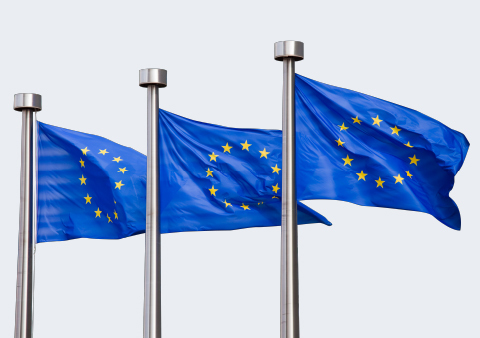 A Commission official will be invited to speak not only on the Establishment Directive but also on the new initiatives from DG Justice and Home Affairs to create European dispute resolution networks. It will provide a forum for the discussion of ways ahead for the development of transnational practice in the main spheres of practice, such as general practice, criminal and commercial law. Since the idea of a European Circuit was mooted, the circuit affairs have been very pleasantly surprised by the level of interest in it. It appears that the Circuit’s creation has tapped into a need that has long been unfulfilled. 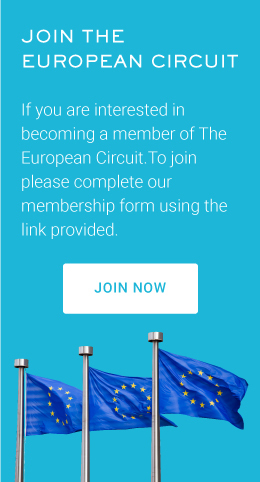 Since its launch few months ago, the Circuit’s membership has grown to a figure of nearly 100 people, with new expressions of interest regularly being received. Seek solutions to common problems in relation to cross-border practice, in line with the various Commission initiatives seeking to set up an area of freedom, security and justice, as well as creating a European Judicial Area. Exchange knowledge and experience of European practice and a point of liaison with other jurisdictions where barristers may wish to practise.